It has been the hottest week of the year with temperatures in the mid-90’s in Florida. Just thinking about a delicious SONIC real ice cream shake had my entire family dashing out the door to head to SONIC Drive-In. This summer SONIC Drive-In locations are offering 25 unique shakes to choose from so you are sure to find the perfect flavor. There are so many yummy flavors such as the Banana Cream Pie, Chocolate-Covered Strawberry, Peanut Butter Fudge, Cherry Cheesecake, Caramel, Fudge and even Peanut Butter & Bacon! 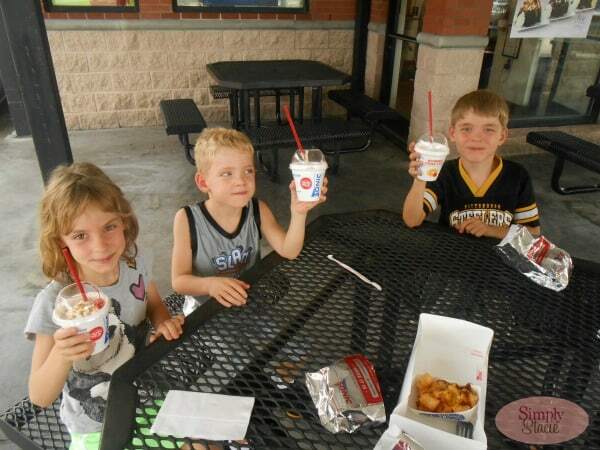 My husband and children were very excited to enjoy lunch at SONIC with a delicious shake as the perfect way to end our meal. My husband chose the Peanut Butter & Jelly and we were pleasantly surprised at how authentic this tasted…..just like real peanut butter and jelly blended with ice cream. My son, Adam enjoyed his creamy pineapple shake which had juicy bits of fruit for a satisfying tropical treat. Hannah loved the Coconut Cream Pie shake and my five year old son Jacob declared the Chocolate Cream Pie the “best shake in the world.” Of course, I had to sample a bit from all of the shakes and was very impressed with the taste of each one especially since SONIC uses real ice cream and ingredients. My personal favorite was the lush chocolate richness that I tasted in the Chocolate Cream Pie…….perfect for chocolate lovers. 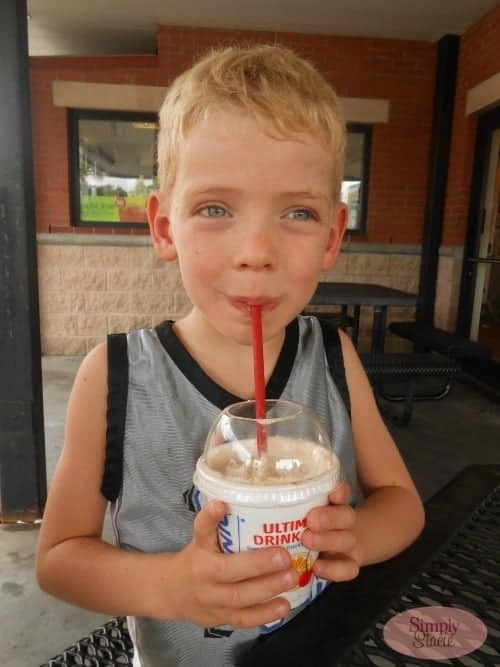 As it heats up in your town, I highly recommend heading to your local SONIC location to browse the menu and select your favorite sweet treat…..one of the 25 blended Summer Shakes! There are over 3,500 locations in the United States so you are sure to find a spot in your area. We also found out that SONIC even offers half price shakes after 8 p.m. too all summer long so that is an affordable way to treat the entire family…..I will be heading back to get my own Chocolate Cream Pie Shake. 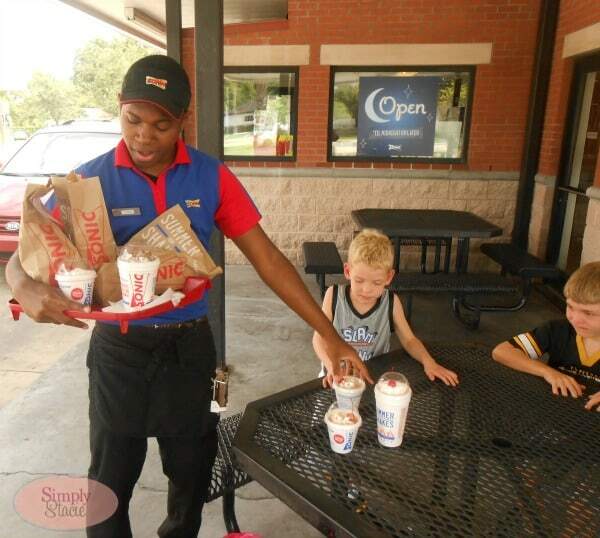 Have I gotten you craving a SONIC shake yet, which one will you try first! 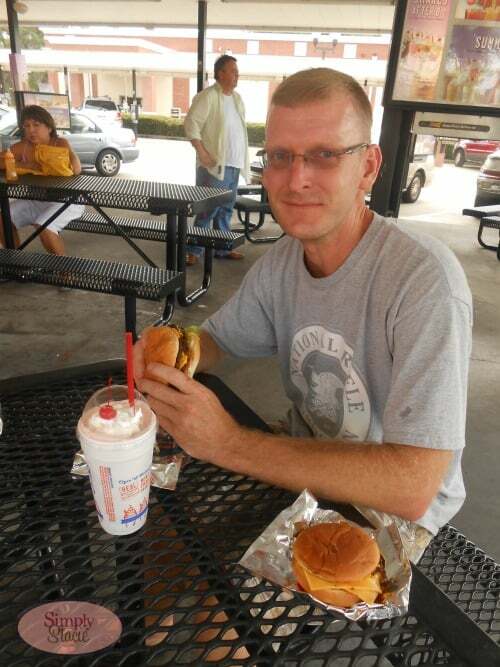 I love sonic, they have the best burgers! the cherry cheesecake would be my first choice but i want to try them all! We’d like to try the Peanut Butter & Bacon Shake. I would try the Chocolate-Covered Strawberry Shake first. Cherry Cheesecake shake sounds so— great. I love Sonics too!!!! Hot Fudge Shake, my favorite. I want to try the chocolate cream pie shake. The Chocolate Cream Pie Shake! Thanks for the giveaway… Strawberry-Banana Shake ! I would LOVE to try the coconut cream pie shake, I mean how delicious does that sound?! YUM! I would like to try the chocolate covered strawberry shake. I want to try the cherry cheesecake shake. Wow, so many of them sound good but if I had to choose, I’d go with Strawberry Cheesecake (with Peanut Butter and Bacon a close second)! I ALWAYS get a peanut butter milkshake at Sonic, they are sooooo gooooood! Peanut Butter Fudge Shake is the one I would try first! I would like to try the pineapple shake first.